The taxpayer funds the majority of county government via the property tax, or ad valorem tax, which is the largest revenue source for Texas counties. About half of Texas’ 254 counties also receive funding from a local county sales tax, which when adopted allowed them to lower their property tax rate. According to the Texas Constitution, the county cannot levy a tax rate in excess of $.80 per $100 of property value for the county’s general fund, permanent improvement fund, road and bridge fund and jury fund. On top of the $.80, the county is authorized to levy a $.15 road and bridge tax and a $.30 farm-to-market road/flood control tax; however, these taxes are subject to voter approval. In addition, counties on the Gulf of Mexico can levy a special tax for construction of sea walls, breakwaters, or sanitary purposes, not to exceed $.50 per $100 valuation. Counties are also authorized by several statutes to levy certain special purpose taxes. However, these taxes when combined with the general fund tax may not total more than $.80 per $100 assessed valuation. Property tax rates across the state are as varied as the counties themselves, with some counties hovering in the 20- to 30-cent range and others approaching or even reaching the maximum 80 cents. 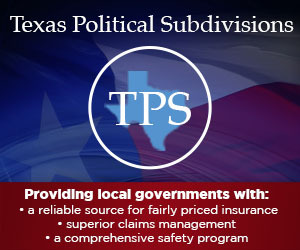 In addition to the property tax and county sales tax, counties rely on fines and fees; intergovernmental revenue such as federal and state grants, contractual money, and statutory money from the State of Texas; miscellaneous revenues or transfers; and interest. However, the property tax is the most significant funding source. Q: What impact will the state judicial salary increase enacted by the 83rd Legislature have on counties? A: The 83rd Legislature increased the salary of state district and appellate judges by 12 percent. Effective Sept. 1, 2013, the state salary of a district judge will increase from $125,000 to $140,000 annually. As explained below, this salary increase affects the amount a county can supplement a district judges’ salary and the minimum salary of statutory county court judges. Statutory County Court Judge’s Salary – The salary of statutory county court judges is tied to the salary of the district judges in the counties in which the statutory county court judges serve. Under Sec. 25.0005(a), Tex. Gov’t Code, the minimum salary of a statutory county court judge is “an amount that is not less than $1,000 less than the total annual salary received by a district judge in the county” including contributions and supplements paid by the state or county other than the salary paid to a regional presiding judge. If the salary of a statutory county court judge is not already higher than the new minimum, the Commissioners Court will have to increase the judge’s salary to an amount that is at least equal to the new minimum amount. Q: What is the effective date of the new minimum salary for statutory county court judges and does it require action by the Commissioners Court? A: The effective date of the new minimum salary amount for statutory county court judges is Sept. 1, 2013. 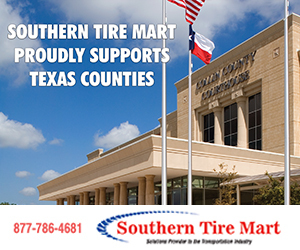 If a statutory county court judge is not already making the minimum amount, effective Sept. 1, 2013, the judge will be entitled to the salary increase regardless of whether the Commissioners Court approves or acts on the matter. See Attorney General Opinion JM – 1138 (1990) which provides that the salary of a statutory county court judge is set “by mandate of the Legislature and is not a matter addressed to the discretion of the Commissioners Court.” The opinion is available at: https://www.oag.state.tx.us/opinions/opinions/47mattox/op/1990/pdf/jm1138.pdf. Q: If the county has not budgeted for the salary increase for statutory county court judges effective Sept. 1, 2013, what options are available to the Commissioners Court? A: Attorney General Opinion JM-1138 (1990) recognized that though the salary increase was not within the discretion of the Commissioners Court, the question remained whether they could authorize the expenditure after adoption of a budget for the year that included the lesser amount. The opinion concluded that because the statutory county court judge’s salary was a budgeted item, the Commissioners Court had the authority to transfer money from one budget item to another under Sec. 111.010(d) of the Local Government Code. (All three subchapters in Chapter 111 regarding the county budget process have a provision for such a transfer – Sec. 111.010(d), Sec. 111.041(c) and Sec. 111.070(c)(1).) The opinion also stated that if there were not sufficient funds in other budgeted items to cover the expense, the statutory county court judge’s claim for the additional salary could be included in the next year’s budget and paid after the adoption of the budget. Q: Are Commissioners Courts required to publish notice of an increase to district judges’ county salary supplements provided under Sec. 32.001, Tex. Gov’t Code, or of statutory county court judge salaries mandated by the Legislature/statute? A: A Commissioners Court is not required to publish notice of judicial salary increases as is required by Sec. 152.013(b) of the Local Government Code for elected county or precinct officers. Sec. 152.017(1) of the Local Government Code exempts judges of courts of records from Subchapter B of Chapter 152, and the Sec. 152.013(b) notice requirement is found in Subchapter B. 1 Counties are not prohibited from providing higher supplements to district court judges; however, in such event, the Comptroller of Public Accounts must reduce the amount of state salary paid to a district judge so that the judge’s combined salary from the state and county supplements does not exceed the maximum amount provided under Tex. Gov’t Code Sec. 659.012.